Full Time Pro Trader Matt Finnigan is hosting another of his hugely successful Horse Racing Trading Seminar Workshops in April. This really is the hottest ticket in town, they are flying off the shelf. It’s your chance to spend a day with a fulltime pro and trade along with him (and a couple of very special guests), live! Here’s Matt with all the details….. This powerful one-day course explores the opportunities you have at your disposal by combining cutting edge Betfair trading techniques with the traditional approach to betting on horse racing. This seminar is about taking the edge back, giving you the clear picture, the right strategies, tactics and tools to achieve long-term profits. Session 2- Will be an introduction to Proform Software, the benefits and why many of the leading experts and professionals use this platform. Session 4- Is Strategies & Tactics for in-running, plus one way positions both backing & laying in the win or place markets. Session 5- The practical session lasting 150 minutes during the afternoon racing, live demonstration, plus pointers and tips on how to profit from the markets. Matt has established himself as one of the leading experts in both betting & trading through two hugely successful betting books. Matt still lives a breath’s trading the racing markets on a daily basis and in 2011 launched the hugely popular X-Movers service. Andy Richmond- A lifelong punter and sports enthusiast who has managed to turn his sporting passion into his business. Andy has a sound background in the fundamentals of the bookmaking business having worked both on and off-course for Ladbrokes before leaving his first love behind for a career in advertising where he worked up to Board Level before he returned to the industry with the then fledgling exchange Betfair. He held several different positions there before leaving in 2008 to pursue a full-time punting and broadcasting career where he now works on a regular basis for RUK. Andy has lived and breathed the exchange markets since their inception and has a particular love for the statistical and analytical side of sports in particular horse racing, football, cricket and the NFL, a subject he writes extensively on during the season. Andy has just launched his own business AKR Sports Analysis Ltd.
Simon Walton- Owner and founder, of Proform Racing Ltd, which was established in 1995 after many years of research and development resulting in the delivery of the first software product in 1999. With a keen interest in horse racing and a sound computer programming background, Simon brought together two unique skill sets, which culminated in the development of one of the leading horse racing tools for serious racing form analysts, punters and traders. We expect interest in the day to be high and places are limited so don’t delay in securing your place with a £40 non-refundable deposit with the £80 balance being paid the week commencing 23rd April. To find out more and to book your place just click below……. Hot off the press this one, ouch! We now have the full course content for the up and coming Trading Football Seminar with The Nugget Crew and Bet72. We can now confirm a date of Saturday 2nd April at a hotel location in Manchester. The day will comprise of a introduction and theory to trading football (plus a little bit from me and some exclusive offers for the day, which will offset some of the cost too). Then a hands on session which will include looking at the whole afternoon’s card and trading a live game. Rounded off by a quick review of the day, an informal Q&A and a few little goodies to hand out too. The cost of the seminar is just £195, which is fantastic value but we are delighted to announce that all bet72ers get an exclusive extra 10% discount too. This is a limited offer and places are going fast and when they’re gone……….they’re gone. So to grab one of the few remaining places for just for £175, just click the banner below to get signed up…..
Then please drop me a line to darren@bet72.com and I can arrange for your 10% discount refund back from The Nugget Crew. Should be a great day and I look forward to seeing you there, for, what promises to be, a very rewarding and educational day of Trading and Risk Free Profit Making. Food & refreshments are provided throughout the day and Hotel accommodation available on request too. That is a hell of a day, so don’t miss out. The thaw in the weather is complete and ALL the racing and football is on in-play in the shop with fast, direct access to Betfair markets. A seat for the day is £40, with a 3 for 2 offer to all new customers who want to take advantage…. Also have multi-day packages available which bring the daily seat rate down to £24!! We have a growing group of traders working on Financial markets in the shop. With a great start-up package which includes a seat in the Trading Room complete with Professional MarketDelta and TradeMaven trading Platforms from £350 per month. There are in-house training courses and mentoring services available for those new to trading or want to step up a gear to increase profits! There will be more on Finance Trading later this week or call 0789 984 8638 for more details. He is back! The love-able Aussie pro-trader is running courses all week in the shop. His courses always book up fast so don’t be left out! Racing Traders have just released Bet Trader Evolution and will be showcasing the new software with all its features live on the evenings racing and football. This is a free event for all Evolution users to come and meet the Racing Traders team and learn how to get the best from the new software. The Man United / Man City game will be up on the big screens so if you fancy a little trade on the big game, with a little professional help at your disposal then you will be in the right place. I’ll be down there too, so if you want to pick my brains on anything risk free profit wise or just want to drop by to say hello, it will be great to see you. Starting at 10am Stu McIntyre from Gruss is offering 2 hours tuition on Betting Assistant followed by supervised ‘live’ trading on the afternoons racing along with fast pictures. Cost is £165 for the day which includes the BA manual and 3 months subscription. During February The Sport Exchange Shop are offering a FREE 2 hour training course using fast racing pictures on in-running trading for all customers who take a 6 day package for £200 (days are chosen by you during February). 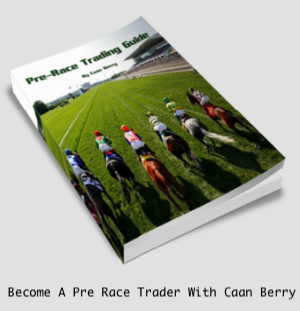 With the racing coming out of the winter thaw our in-house professional trader is offering a FREE 2 hour course on how to make profits on in-running racing with every 6 day package taken in the shop. This lets you learn techniques using faster racing pictures and internet with one-click software. The second hour is spent on live racing taking full advantage of fast pictures to get the best odds and quickest matches on Betfair. This hour puts the theory into practise along-side the expertise of the top in-play scalper in the shop.